As part of my cooperation with yoocan, I would like to share the story of Lisa Ludwig. Lisa was diagnosed with cancer at an early age. While the osteosarcoma took her leg, it never took her spirit and positive attitude. Several years later she is an active mentor to other cancer patients and amputees and - for some time - had taken up the role as brand ambassador for a company that produces prosthetic covers. Hello! My name is Lisa and I am a 20 year old Canadian. 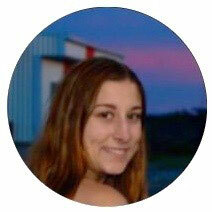 I am currently a student, working towards my Bachelor’s of Social Work Degree. I became an amputee at the age of 14 due to a diagnosis of Osteosarcoma Cancer that grew rapidly. In August 2011, I became a left leg above knee amputee, and my life has never been the same since. I endured multiple months of therapy before I was able to walk without assistance on my prosthetic. Since my amputation, I have participated in many Terry Fox Celebrations at schools as a spokes person for Cancer and Amputees. I have been a mentor for other cancer patients who are on the journey to becoming amputees. 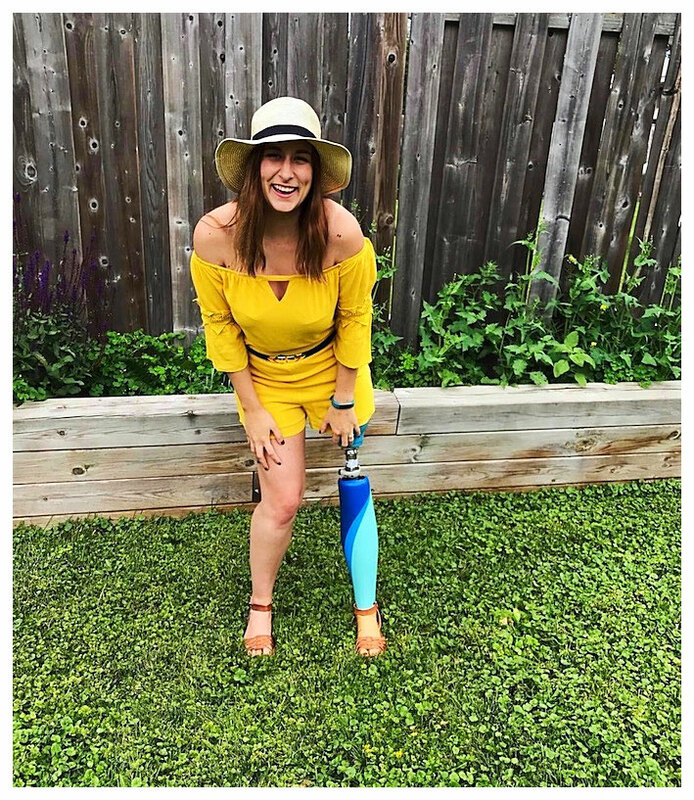 As I love the idea of expressing my personal style, I was an ambassador for a company called UNYQ; who designs custom covers for amputees.Through this partnership I had the chance to promote the UNYQ covers and let other amputees know about the. The covers had changed my life by providing me comfort and self esteem. It had been an amazing opportunity to have the chance to link amputees to such an amazing company! I have not been an amputee for very long, this past August made six years, but the quote, “the only disability in life is a bad attitude,” has kept me going and staying positive as I discover my amputee journey. I cannot wait to see what my future holds, as I believe that regardless of your physical or mental state you can achieve anything you set your mind to and that's exactly what I plan on doing. Guest post by Lisa Ludwig. Lisa is an above knee amputee, I lost my leg at the age of 14 to Osteosarcoma Cancer. She had been an ambassador to UNYQ and offers mentorship and support for other cancer patients and people who just started their journey as an amoputee. If you want to learn more about her, follow her on Instagram. This article was originally published by yoocan.